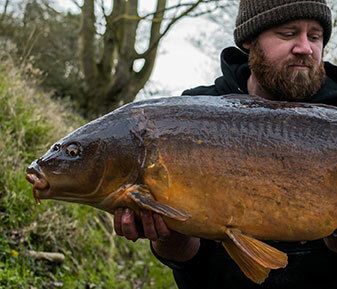 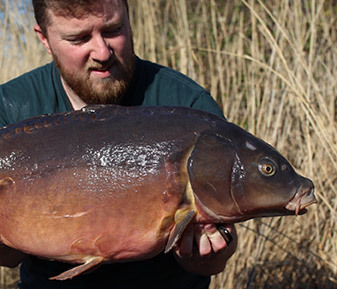 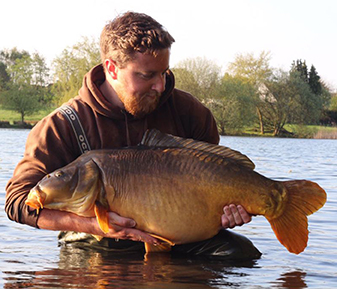 Alex West has had an incredible 2018 with some of the country’s most sought after fish falling to his rods over the spring and summer months. 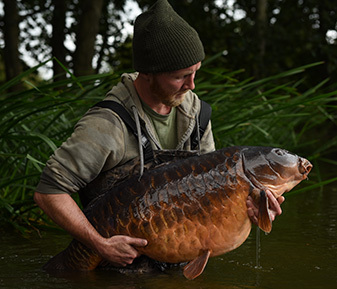 Concentrating his angling on the Hampshire/Berkshire borders he began by clocking up a good tally of carp from the notoriously tricky White Swan syndicate. 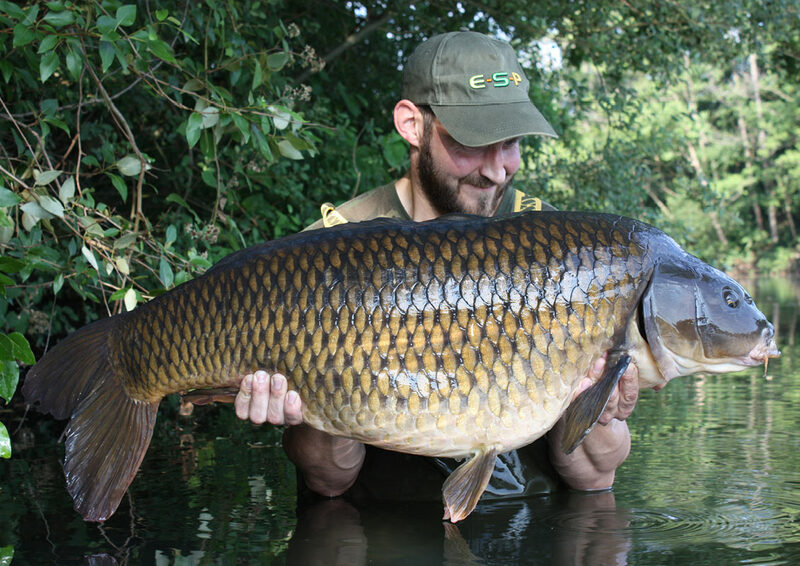 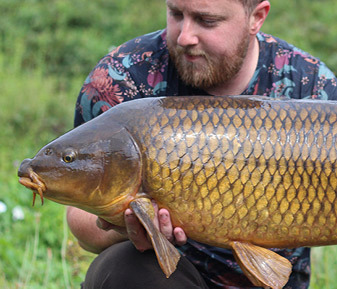 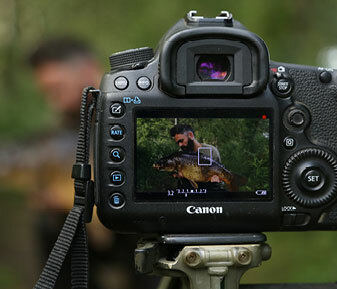 As Spring moved quickly into one of the hottest summers on record, Alex turned his attentions to the historic old Yateley complex and quickly came up trumps with the huge and desirable Redmire common! 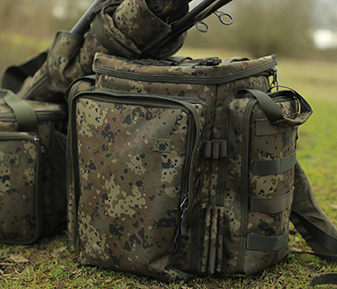 Alex began using some of our new terminal products back in the spring and gave good positive feedback. 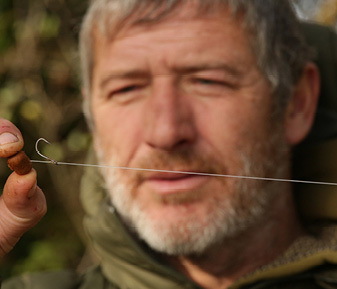 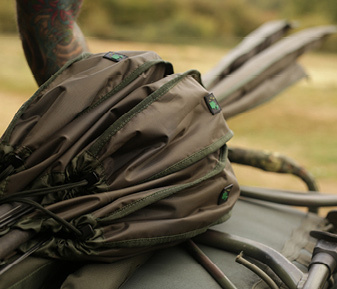 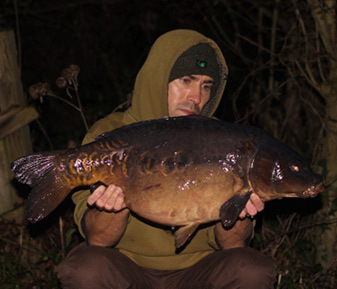 Now further down the line, his confidence in the Olive camo leadcore and new test hooks was firmly established. 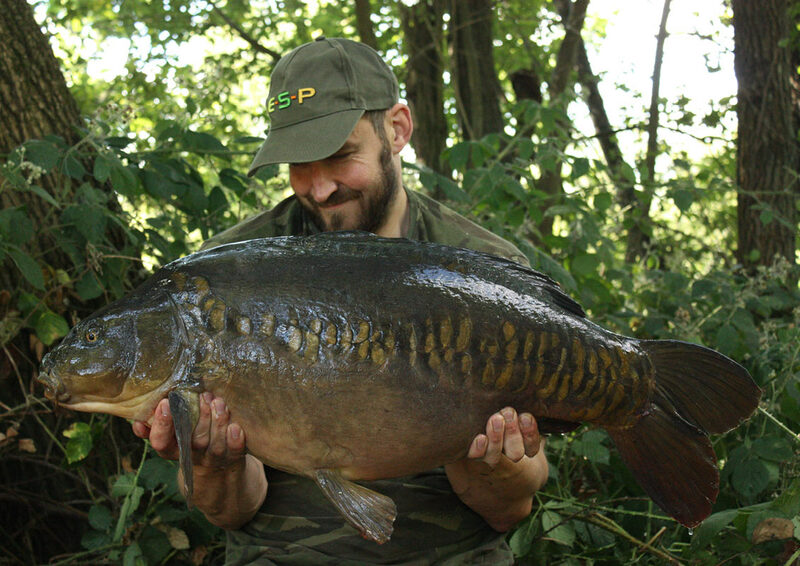 During the hot spell of July came a scaley sutton strain mirror from Yateley, at 28lb 14oz caught using Sticky squid boilies, hemp and tigers from an overhanging willow at about 65 yds range, the TA Out-Turned Eye hooks and olive camo leadcore doing the do! 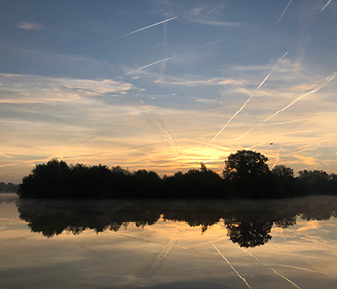 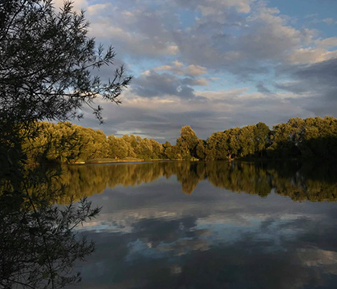 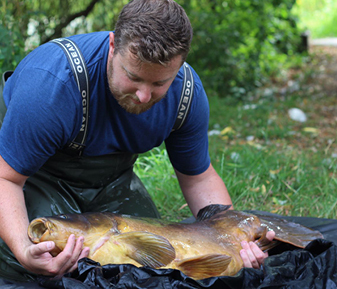 Further up to date, Alex looked at a swim that he had not fished before, but seemed like the fish had congregated around this particularly weedy area of the lake. 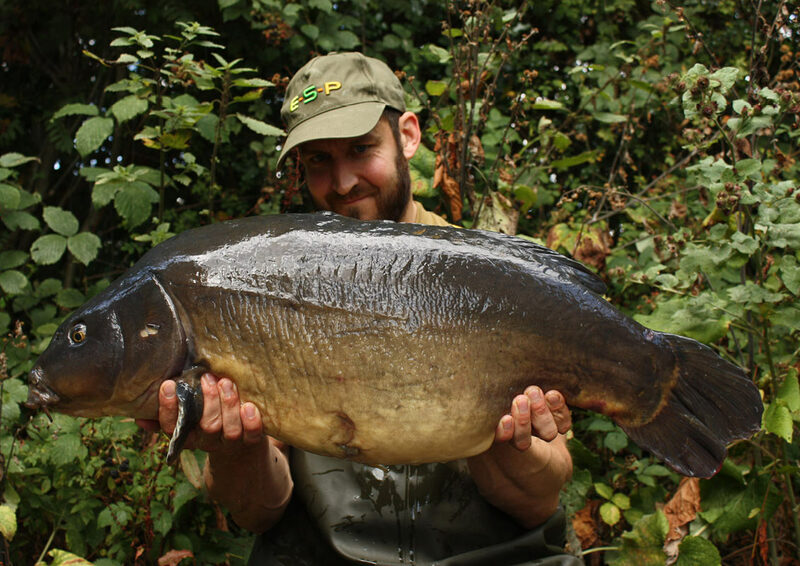 He chose to do a bit weed raking on a faint channel that led up to a lovely hard spot on the patrol route of the carp from the left/right of the swim. 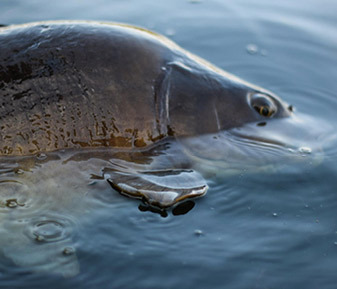 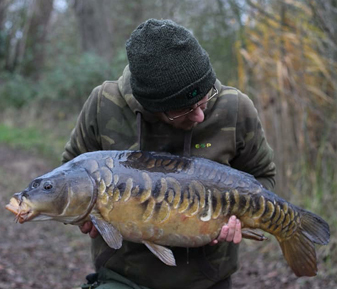 His first of 3 bites over the next 48hrs was one of the real old, special carp in the lake, one of the same stocking as Heather and Arfur and had been on the missing list for just over a year, unusual for this lovely old carp, affectionately known as No Pelvics. 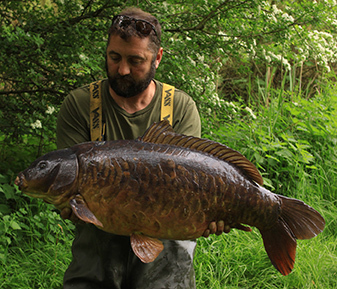 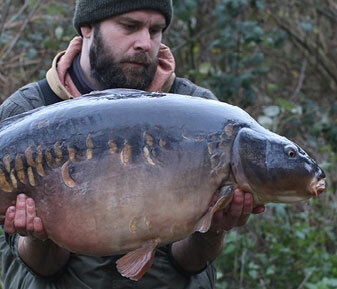 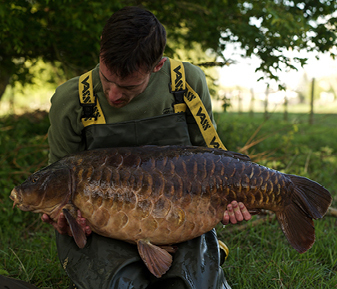 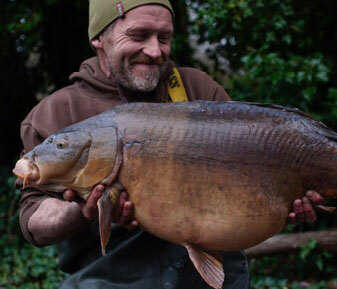 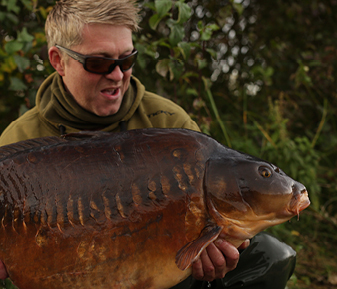 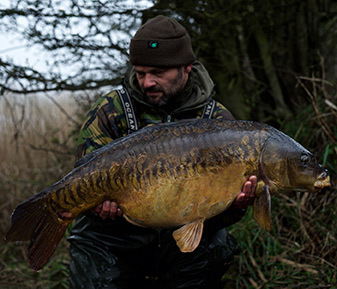 An example of why he’s still fishing at Yateley, because of these old history fish… certainly around the 48yr old mark, steeped in history and in really good condition, considering her age! 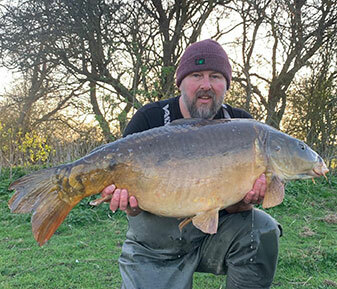 At 29 + it was a right result. 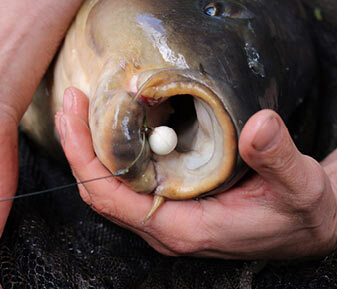 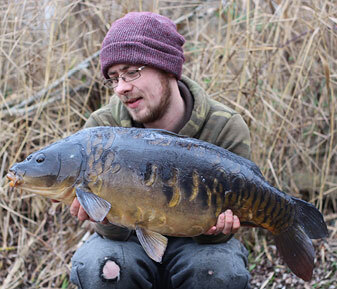 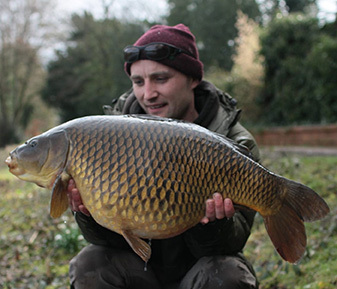 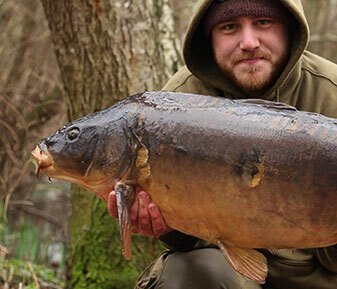 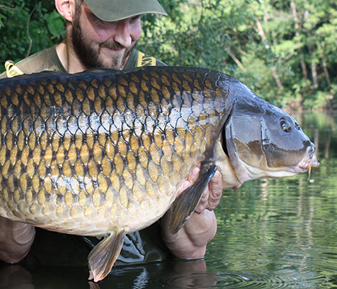 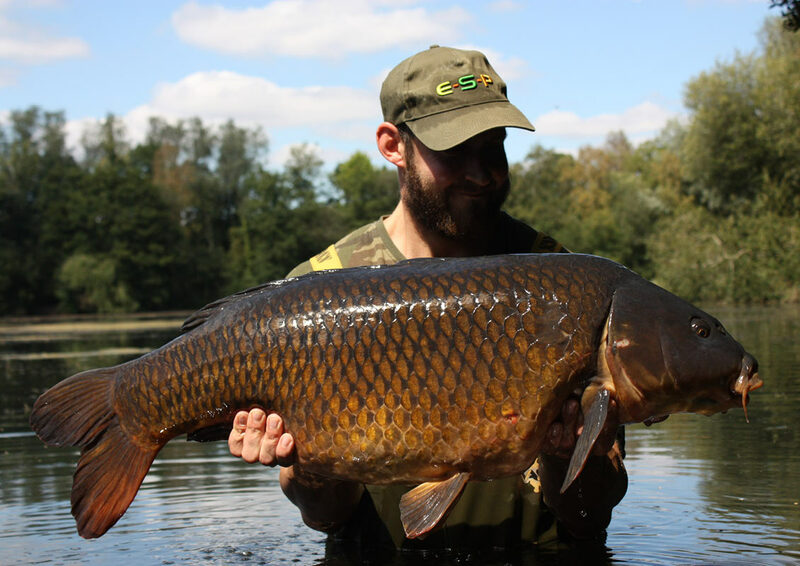 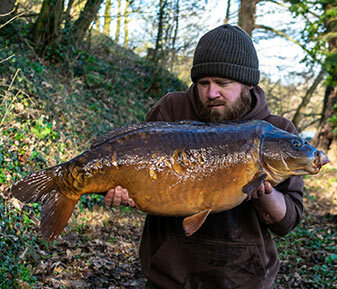 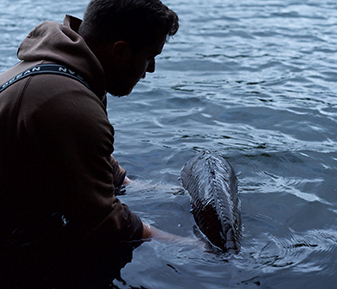 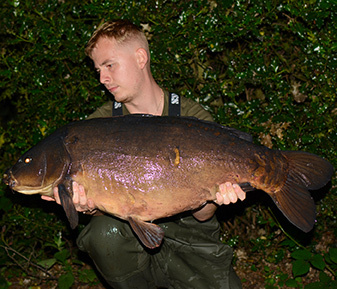 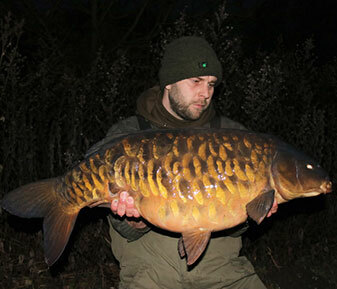 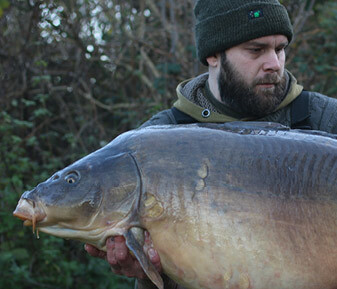 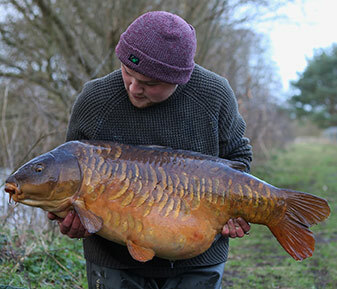 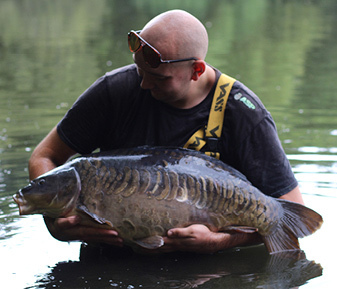 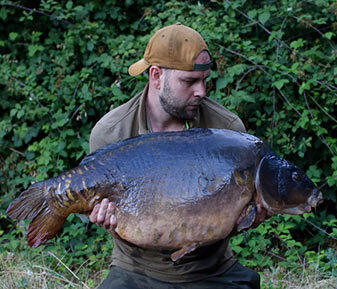 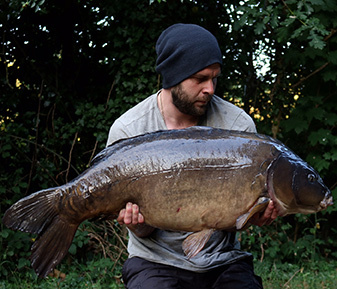 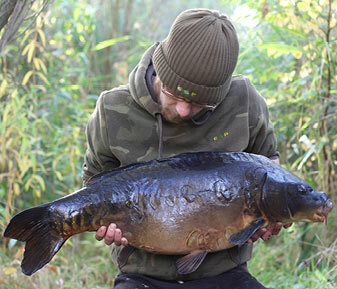 Alex fished a combination of Sticky boilies, cap oil, hemp and tigers to really pull the fish down to the spot. 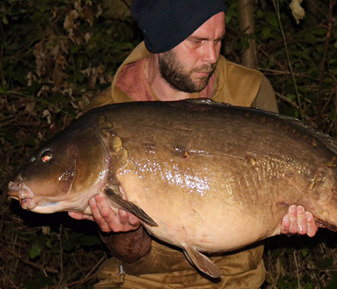 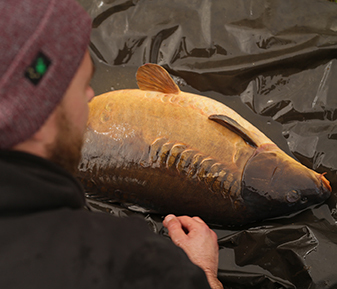 The session saw another 2 Redmire strain commons roll into the net the biggest of which tipped the scales at 34lb! 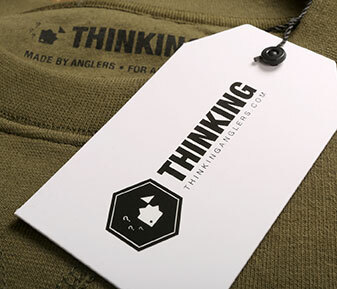 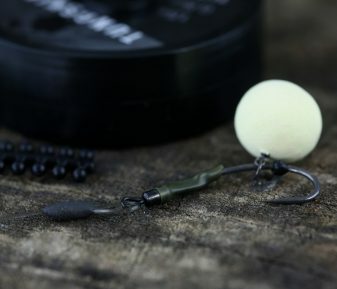 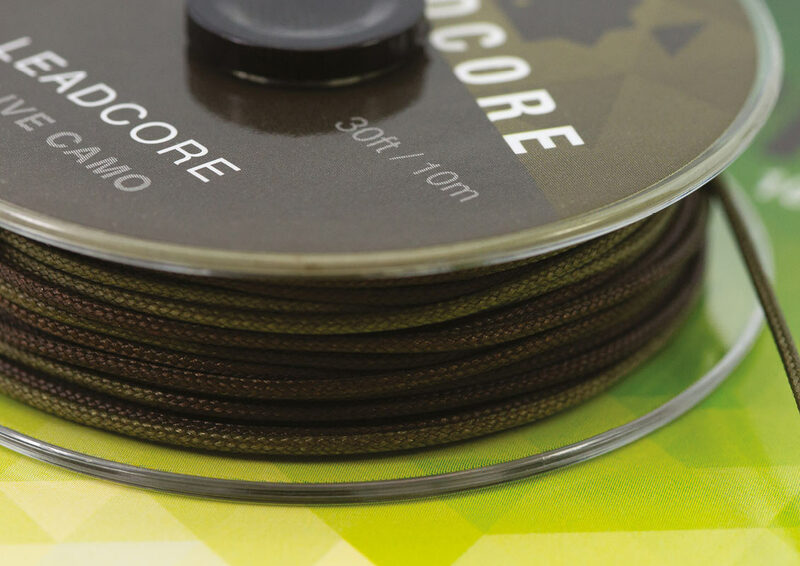 TA OE hooks in a size 6 and Olive camo leadcore leaders doing the bizzo for Alex! 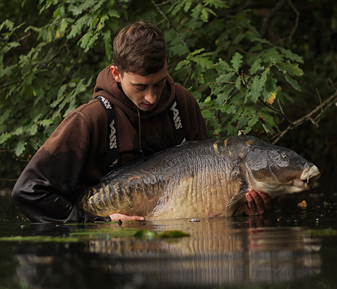 We are sure to see more from Alex over the coming months, so watch this space.